It's the time of year when everyone flocks to get pumpkin-flavored things. I love pumpkin, but apples are an important fall flavor that often goes unnoticed. I won this Nina's Paris Marie-Antoinette Tea from a giveaway on Oh How Civilized, and hadn't had a chance to do more than open the container. I'd only given it a few quick sniffs, and enjoyed the strong apple scent. We went apple picking this past weekend and I thought it would be the perfect time to try it. I was hoping it would recreate images of playing in the apple orchard. The scent of the dry leaves paints a perfect picture of autumn. Ripe, tart juicy apples that are waiting to be picked from the trees. There is a soothing note of rose as well but the apples steal the spotlight. According to the label, the apples used to flavor this tea come from the King's kitchen garden at Versailles. The apple flavor has a fancier pedigree than the ones we picked this weekend. I was expecting to see apple pieces in within the tea, but it only has apple flavor. There are however dainty pieces of rose petal mixed with the black tea leaves along with added rose flavor. The brewed tea is surprisingly mellow compared to strong aroma of the dry leaves. The apple flavor is still present, but muted. There is a stronger rose flavor pushing itself forward, a bit too perfume-like for my taste. Still a fine tea for autumn, but not the strong apple flavor I was expecting. This is a bit lighter, perhaps more spring-like in flavor. This is a beautiful tea to look at and pleasant to drink. I'm tempted to use some of the dry leaves as an air freshener, for the crisp scent that would enhance the flavors of the season. Do you have a favorite fall tea? Let me know in the comments! Right now my favorite fall tea is "Cranberry Autumn" by Harney. So good with bits of cranberry and orange. Just perfect for fall. Apples and roses? That tea sounds amazing, though it's unfortunate that the apple wasn't as pronounced as the rose was once brewed. 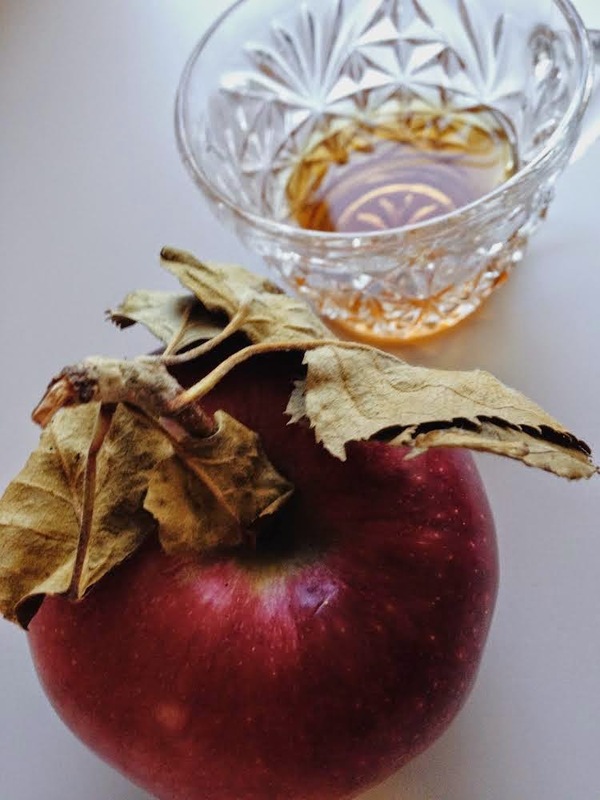 I've yet to find a perfect preblended apple tea, but during autumn I occasionally boil a bit of water on the stove with apple slices in it, add tea leaves, honey, cinnamon sticks, and ginger and strain into cups after a few minutes. Danielle, that is a great idea! The combination sounds delicious. I will have to try it out. 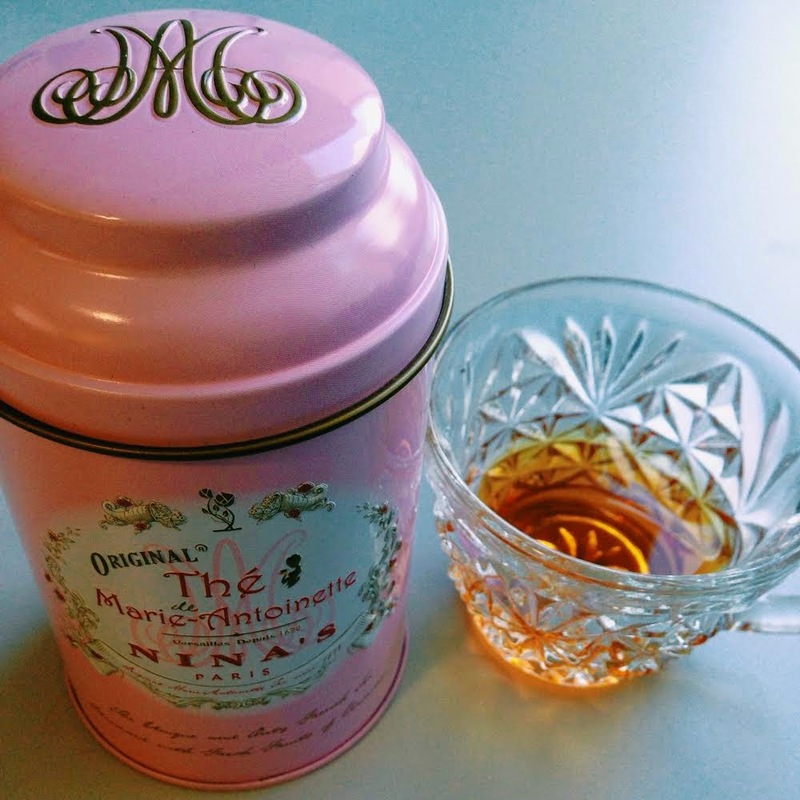 Happy Tea Times With NINA'S Paris...From France With Love!